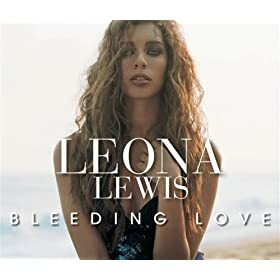 Alot of people seem to see Leona as the flavor of the month when writing reviews about "Bleeding Love". Don't be misinformed about this girl's talent. I'm from the United States and about two years ago I was searching YouTube right when the third season of the 'X-Factor' started to air, and that's when I discovered this beautiful girl's singing talents. Like the now defunct Pop Idol (in which ever popular American Idol was based off of), it is a search for the next great singing sensation or sensations. The real difference between the Idol format and this one is that groups are allowed to compete and each category of performers is given their own mentor. Simon Cowell happened to get her. The point of explaining the details of the show is that over the course of many weeks, Leona grew from a shy, timid girl into a superstar that has taken over the world. She isn't something produced to be the latest craze. She's just a girl who got a lucky break for the world to see her talent. As far as Bleeding Love goes, the song was originally for Jesse McCartney's album, but was given to Leona and changed to suit her range. The song (and her Album 'Spirit') will probably remind you of the early 90's sounding mid-tempo pop ballads. She has basically filled the void of the style of music the old Mariah Carey used to sing now that Ms. Carey has moved on to more of the new age R&B-Hip Hop fusion genre. Bleeding Love is a pop ballad for the ages and Leona does the song incredible justice. Don't be fooled into not downloading this song just because a few people think she's just a passing music 'it' girl.